Hi, thank you so much for your continued support. It has been a big month here and I hope that things have been great for you too. 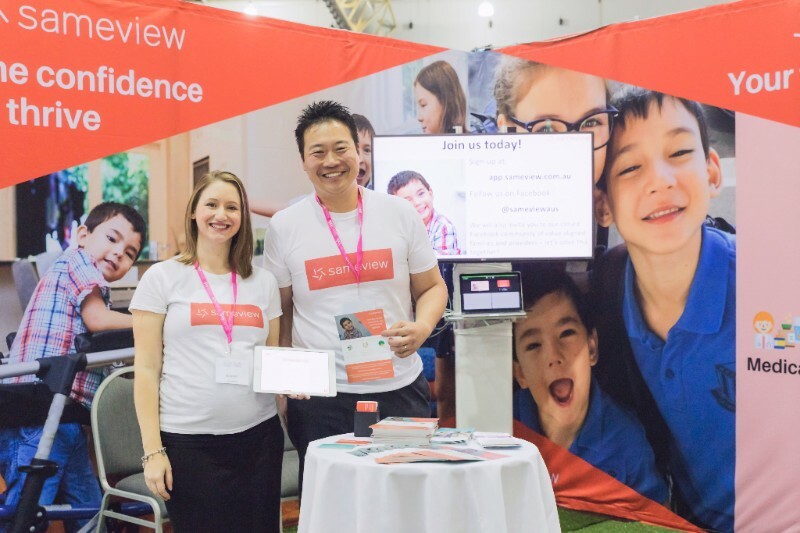 I'm happy to tell you that we had a great launch of the sameview platform at the Brisbane SourceKids Expo. Over the two days, we met over 3,000 families, professionals, support organisations, and services that all with a focus on children with disabilities. From the people who met us in person and our early supporters, we now have a great cohort of families and providers using the platform. I can't wait to get their feedback so we solve the issue of care coordination together. Want to use our platform, or know someone that does? We can't wait for you to try it out. Sign-up at www.sameview.com.au, or share with a friend using the button below. In addition to our platform going live, our sameview community is now running and growing with value aligned families and providers every day. The community has been established as a more engaging way for us to have conversations about care coordination, and other relevant issues. It is also the place where we can empower each person to have a say on the development of the sameview platform. If you provide care for someone with a disability, or you work in our community, we'd love to have you join our conversation. Join by clicking below. 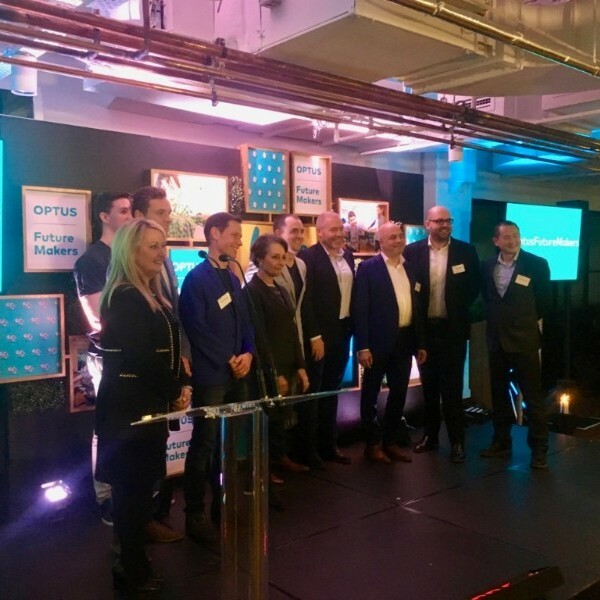 A year ago we received the biggest boost to our startup possible by being chosen as a finalist in the Optus Future Makers program. This week it was our honour to meet the finalists for this year's program, many of whom are creating solutions for the disability community. We can't wait to see what they achieve. What a month! The support we've received from all the families and professionals out there is all the inspiration we need to keep going, and there wasn't a single person out of the 3,000 we met last weekend that didn't identify with the problem we are trying to solve. Special thanks to my amazing sister-in-law Ellie, who along with her soon to be born child helped us to launch sameview in Brisbane. We couldn't have done it without you! For my family, the launch came just before the start of the school holidays. 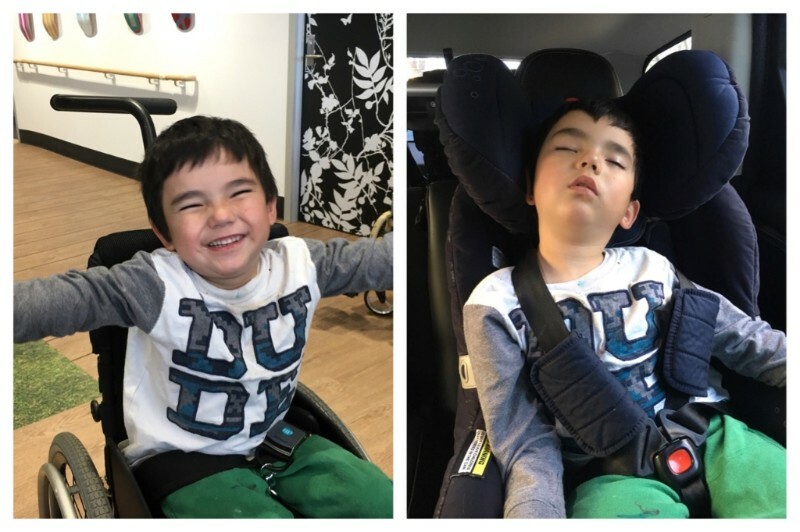 These holidays have been dedicated to therapy for Monty as we've backed off appointments recently to give him space to transition into kindy. It's not the most fun school holidays for Monty or his siblings, but an intensive block of therapy is also very effective. There was only about 10 minutes between these photos. I'd be tired too after an entire week of therapy. Like most people juggling work / school holidays, my work hours are now mostly in the evening. Thank goodness I have the Tour de France broadcast to keep me company each night. Next month I'll be sharing with you how our platform is being received, along with what we're talking about within our community. I'll also be down at the National Disability Summit in Melbourne later that month.